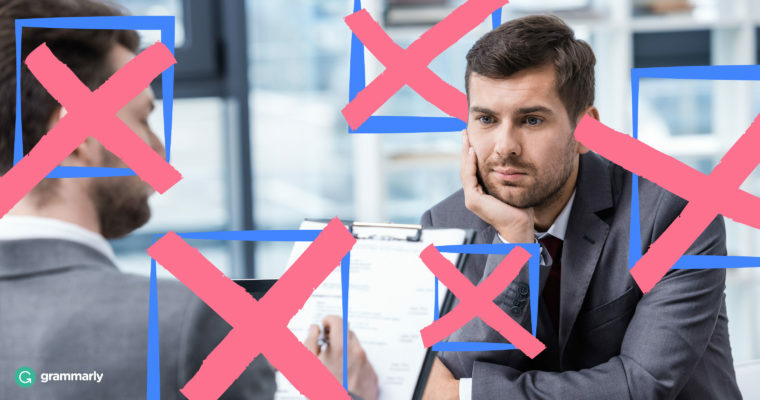 It’s not something we like to reflect on, but the truth is that there are plenty of things that can go wrong when you submit an application and start the interview process for a new job. But even if the stakes are high, you can’t let the fear of making a mistake hold you back—, and the only way to get it is to take a risk, submit the application, and do your best in the interview. But what if you feel like you didn’t do your best? Or what if you know for sure that you made a misstep? If you think there’s a chance you messed up during the interview process, you need to implement some damage control right away. Here’s what Halai Shukran, Director of Talent Management at Viant, Inc., has to say about the five most common interview mistakes she sees when working with prospective job candidates. If you’ve already made this mistake, it’s not a complete loss: follow up with your as quickly as possible, take full responsibility for the slip, and explain the mitigating circumstances. Anything less—like dismissing it as no big deal or assuming they’ll reschedule quickly—won’t win you any favors (or second chances). Shukran notes that another common interview mistake is sending a bland follow-up note or not following up at all. This causes you to miss out on an enormous opportunity to stand out among other prospective hires and—more importantly—. If you made this common interview mistake and haven’t followed up to an interview yet, do so! Just make sure it’s unique to the person with whom you interviewed and shows you’re paying attention to the conversation: “Whenever possible, think back to something an interviewer said about the company and comment on it, or follow up for more information, or . . . share an interesting article tied to the role. A follow-up that showcases whether or not you’re a fit shows more interest post-interview than a generic one,” remarks Shukran. Aside from chilling out and stepping back, you can’t recover from too much follow up. Your best bet is to learn your lesson and apply a more moderate approach to following up your next interview (or better yet, ask your interviewer what the follow-up schedule looks like and act accordingly). If you find yourself in the middle of an interview and you really can’t think of any questions, it’s OK to ask to circle back with questions later. If you didn’t ask questions in the interview, all is not lost. The next time you’re in touch with your interviewer—whether that’s a scheduled follow-up call or a check-in a week or two after your interview—ask if it’s possible to take them up on their offer to ask questions and include a few thoughtful ones in your email. The best way to impress a recruiter or hiring manager is to do your research in advance of the interview—that means doing your due diligence and reading the company’s website, performing a web search for articles mentioning the company or recent press releases, and reviewing all interview-related email correspondence. This is yet another common interview mistake where the best approach is a preventative one. Research the company and the position as thoroughly as possible in advance of your interview so you’re prepared to have an intelligent discussion about the position and the role it plays in the company’s big picture. If you blew an interview with one of these common interview mistakes, take heart. You’re not alone, and the mistake can likely be fixed. And if it can’t, you’ve learned a valuable lesson that will serve you well for future interviews. Don’t give up, and you’re bound to find the job that fits your life.